SIOUX CITY, Iowa — An Iowa man is facing terrorism and assault charges after he recently threatened to kill a local pastor during the Sunday service. 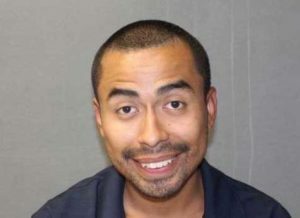 According to reports, last Saturday, David Flores-Marroquin, 25, stood outside of Community Bible Chapel in Sioux City cutting himself with a knife, and wiping blood on the stairs while chanting. Tranquilino Estrada-Ramirez, the pastor of the church, then approached Flores-Morroquin and asked him to leave. In turn, Flores-Morroquin threatened to kill Estrada-Ramirez with the knife. Flores-Morroquin returned to the church the following afternoon as services were underway and sat with the congregation. He soon began yelling at Estrada-Ramirez as he preached, and then pulled out a BB gun and again threatened to kill the pastor. Police were called to the scene, which took Florez-Morroquin into custody. He has now been charged with felony terrorism and assault while displaying a dangerous weapon, and is being held in the Woodbury County Jail on $25,000 bond. He faces up to 25 years behind bars if convicted. “Scherzberg admitted that his actions caused significant damage to the entire church building and property within the building, and that almost the entire church building required reconstruction,” the Department of Justice outlines. He was sentenced to 41 months behind bars following a plea deal.